A felt heart, with felt dots/pompoms on velcro to make it reusable. 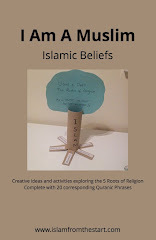 Lesson ideas kindly shared by a teachers delivering a lesson on Goodness. We talked about how our hearts are sticky: whatever actions you do stick to your heart. If they are good actions, they make your heart clean and shiny and if they are bad they make the heart dark and dirty. At the end of the day the little ones had to think about how their heart would look and think about their actions. 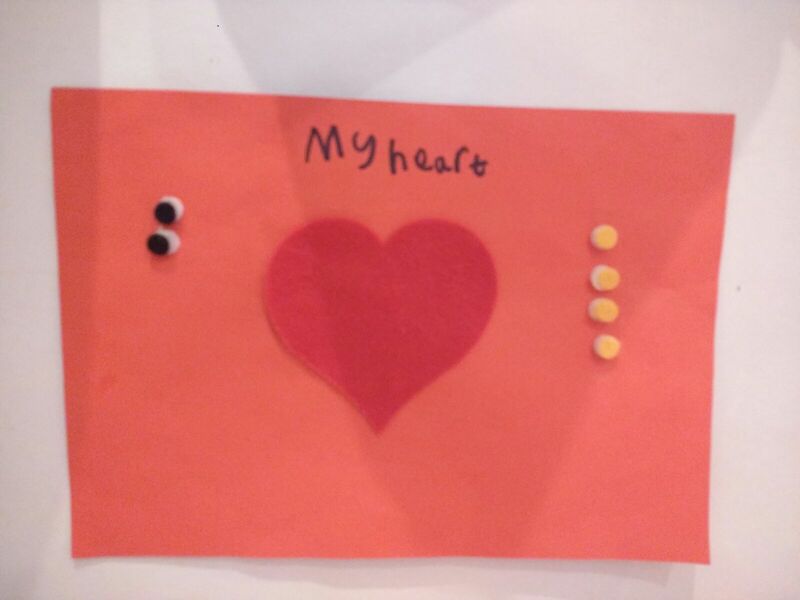 They had to add the gold felt dots on the felt heart for good actions and black for bad. If they had good actions they had to thank Allah for making them good and for His help in doing good and if they had bad actions to ask for forgiveness and try to be better the next day.